Missing tooth surrounded by very healthy teeth have unique demands. The challenge is to replace your now missing tooth for both appearance and function, without harming your remaining teeth or gum tissue. Besides good function during chewing, the ideal replacement must look like natural teeth, both to you and to others. 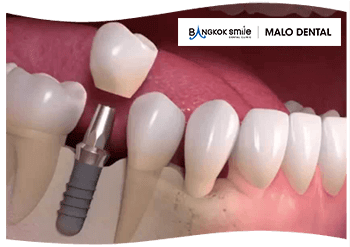 The solutions possible with Single Dental Implant supported porcelain crown take advantage of the best appearance possibilities available in dentistry and modern dental technology. The ideal replacement must also feel like natural teeth and be easy to keep clean. Knowing your teeth are stable during eating and talking means a lot. 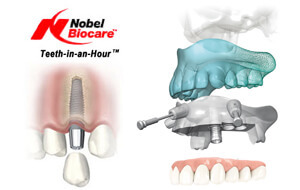 Another benefit is that your implant supported tooth will not decay like natural teeth. You'll be glad our treatment didn't require grinding down your remaining natural teeth. 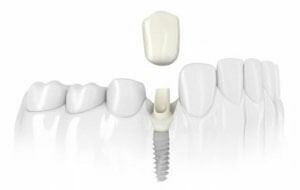 Single Dental Implant is the most thoroughly documented implant treatment for dentistry in the world. The long-term safety of this solution is well established and published in recognized scientific journals. We will discuss with you how these treatment results apply to you. 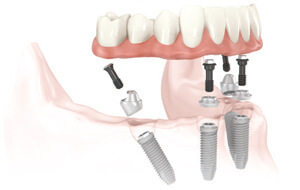 The first step is to replace missing tooth root by placing titanium implant. 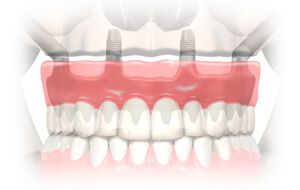 Normally, the implant will remain covered underneath the gum for approximately one to six months. During that time, the osseointegration takes place. 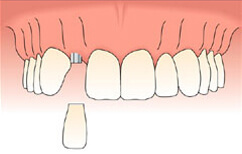 The second step of the procedure involves uncovering the implant and attaching an extension. This completes the foundation on which your new tooth will be placed. The final step is the placement of your new tooth. With techniques that ensure optimal size, shape, color and fit, these replacement teeth will blend with your facial characteristics and remaining natural teeth. Having dental implants replacing your teeth will give you new, unparalleled strength and stability that allows you to eat what you want. It will also preserve your jawbone and facial appearance. Restoring naturally beautiful, confident smiles means more than just restoring teeth, it means restoring and improving your quality of life. With dental implants, chewing and speech are restored or improved, and a permanent natural appearance is achieved. 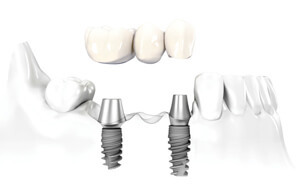 Whether you are missing few or all of your teeth, implants allow you to enjoy your favorite foods and have the confidence you desire for an active professional and social life. 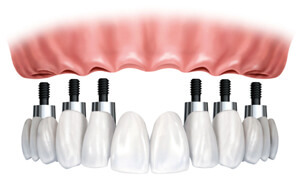 Naturally, there are many benefits of multiple teeth replacement with dental implants. 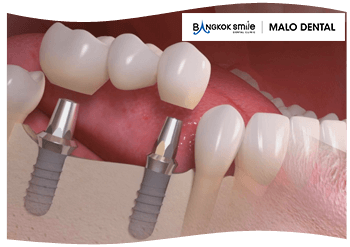 The benefits of implant treatment include improved appearance and self-esteem as well the enhanced ability to chew and enjoy your food, and often protection of your remaining teeth and jawbone. 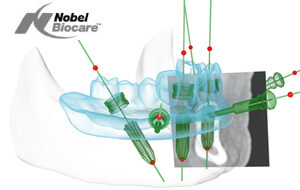 The first step is to replace missing tooth roots by placing titanium implants. 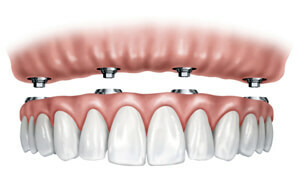 The implants will remain covered underneath the gum for approximately three to six months. 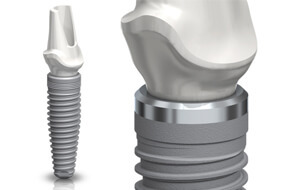 During that time, the osseointegration takes place.